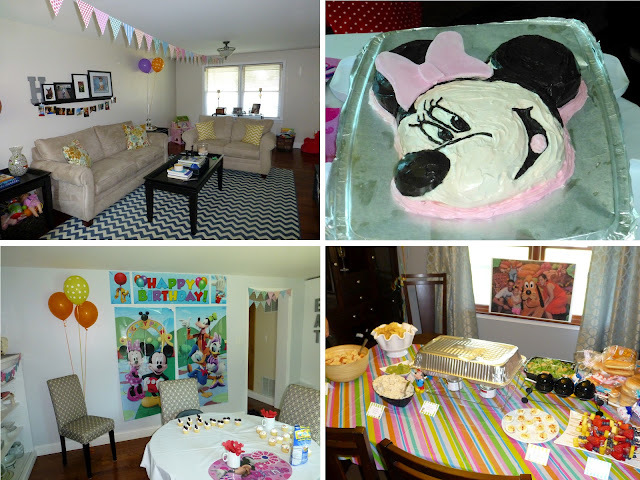 We had our little nugget's birthday party this past Saturday and it was so amazing! She had the BEST time. Despite the fact that the pool was about one day away from actually being ready, all the things I wanted done, never got done; it was perfect. It's days like this where we realize how incredibly lucky we are to have such amazing people in our lives. Seriously? Our little nugget is a lucky little girl. My beloved Silhouette made all of the banners! She was supposed to be helping me put the drinks in the cooler. I think I have a total of 10 pictures with her in her entire 2 years of life. We had a minor issue with the stars on top. Anth had a minor issue learning how to cute a 2 tier cake. Thank you Gram. Reagan actually let people touch her! Baby Jesus miracle. Brenna scoping out the goods. Uncle Jamie and Uncle Matt holding NOLAN! It was such a great day. If you ask her about her birthday party she just screams "BRENNA! NOLAN! JASON! CAKE!" and on and one and on. It is so cute. Our house looks like a wreck, but I don't care. I have no intentions of cleaning it anytime soon. Our pool looks magical right now (of course it would 2 days after her party) and our new deck is all decked out (ha!) in mama's flowers that I want to spend the rest of the summer outside. Ps. Babycenter? I don't appreciate the monthly emails calling my child a "Preschooler". Looks like you guys had a great time! What a fun birthday party!! The cake was amazing and I love her dress. Your decorations were so cute! Great job!!! That cake is amazing! You did a great job on the party, and Quinn is adorable! !